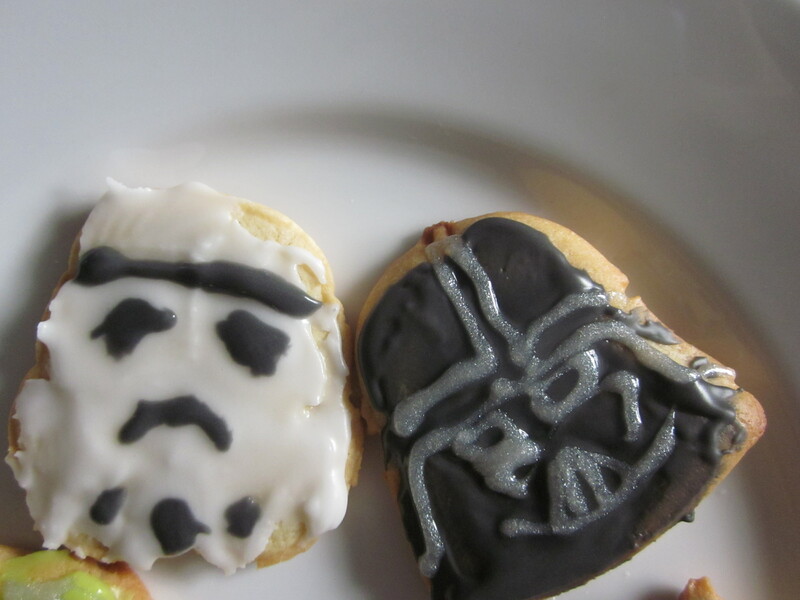 One of my most exciting wedding presents was a set of Williams-Sonoma Star Wars cookie cutters. Having had lots of practice with making cookies, I thought it would be simple- but I hadn’t banked on the stamp-style cutters being quite so faffy! And the icing…! It’s really tricky! Maybe, though, it would have been easier if I had propper icing equipment and was’t applying it with a knife. Ah well. You learn! This entry was posted in Baking. Bookmark the permalink. Post a comment or leave a trackback: Trackback URL. « Sunday Arts Market- a damp but promising start! 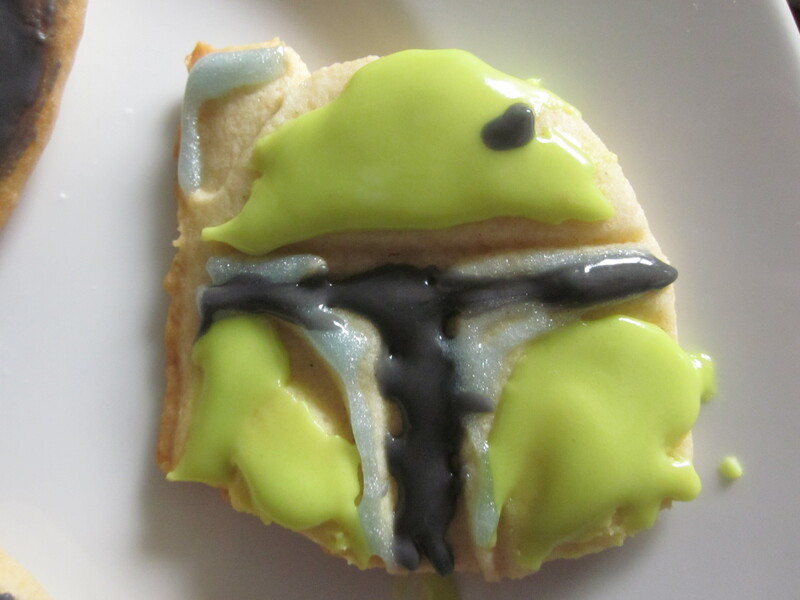 Is it not time for some more Star Wars cookies?